Chrome Radiators come in a huge number of designs. With a mirror like finish they can create a real design statement in any room. 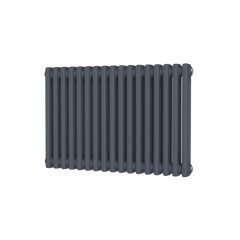 All of the Chrome Radiators at Great Rads are available with free UK delivery. Chrome radiators continue to be leading options for the style conscious home. 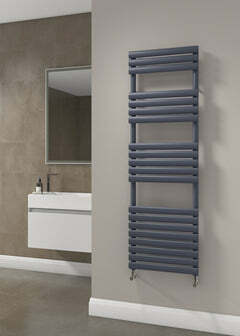 Coming in a range of colours and designs, the possibilities of the chrome radiator are endless. Whether you’re going for a vertical chrome finish or a chrome panel horizontal, there are a wide range of options for the design that suits your property’s needs. Chrome radiators add a sleek and striking aesthetic to any room, whether the bedroom or the hallway, enabling you to choose a model which is not only efficient in its heat output, but matches the colour scheme and tastes you want for your property. Whatever style you go for in your property, there’s a chrome radiator to match. You can find chrome finishes inside sports car engines, luxury restaurants and jet engines. The common factor? The use of chrome illuminates the luxury of each. Chrome can be found in all styles, but all with the common goal of making a space or object feel upmarket and one of a kind. Chromes smooth metallic surface means that light reflects off it and leads to a space looking larger because of it. 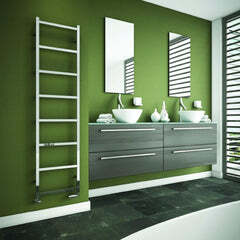 This is the key aesthetic use of chrome radiators, rooms look bigger and with no sacrifice of heat output. Designer chrome radiators are used in many spaces in the home, but most commonly in bathrooms, where it is often used as a towel rail or warmer as well as a radiator. Smaller, space starved spaces like the kitchen also find use for these sparkling gems due to the style and light it provides. You can never go wrong with a chrome radiator then, it being both eye catching and subtle, bringing new shades to a room it radiates with warmth. 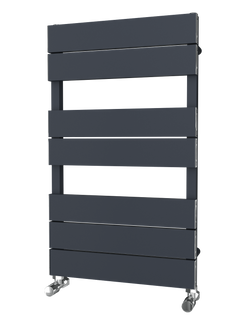 The Reina Pienza Horizontal Designer Radiator is has an elegant design. The polished chrome bars give a reflective mirrored finish. The Reina Pienza would look great in any room. The DQ Axis Vertical Designer Radiator has a sleek and simple design and is available in 2 stunning finishes: White and Chrome. Made from mild steel, the DQ Axis would be perfect in any room.